Marquette and St. John’s have both quietly hummed along collecting wins outside the spotlight. Both teams are led by diminutive but electric scoring guards who have become must-watch TV this season. Markus Howard has improved his scoring average to 22.6 PPG despite also assuming point guard responsibilities, and with that, the Golden Eagles have already collected a pair of signature wins over Louisville and Kansas State. Shamorie Ponds has done more of the same, amassing 22.4 PPG to date and pacing the Red Storm to a 7-0 start. Both teams clearly have enough talent to win the conference this season, but there is no shortage of doubts after years of under-performance from both programs. Villanova has rebounded by finding comfort in a low-scoring tempo that allows it to focus on defense and crashing the glass. The Wildcats currently rank 341st in tempo with an offensive rebounding rate (38.4%, 13th nationally) not seen since 2012. A Thanksgiving weekend trip to Florida was kind to this young group, as Villanova knocked off Oklahoma State and Florida State, but the need for additional scoring depth behind Phil Booth and Eric Paschall is ever-present. The others (Xavier, Butler, Seton Hall, Providence, Georgetown) have played like classic middle of the road conference teams thus far. All five clubs have shown flashes of promise (Xavier took Auburn to overtime; Butler defeated Florida; Seton Hall won its Feast Week tournament), but there has been enough consistency to boot. Still, given the lack of a clear Big East front-runner this season, it would be no surprise to see any of these teams rise into the top tier by February. Picking which one is a roll of the dice. 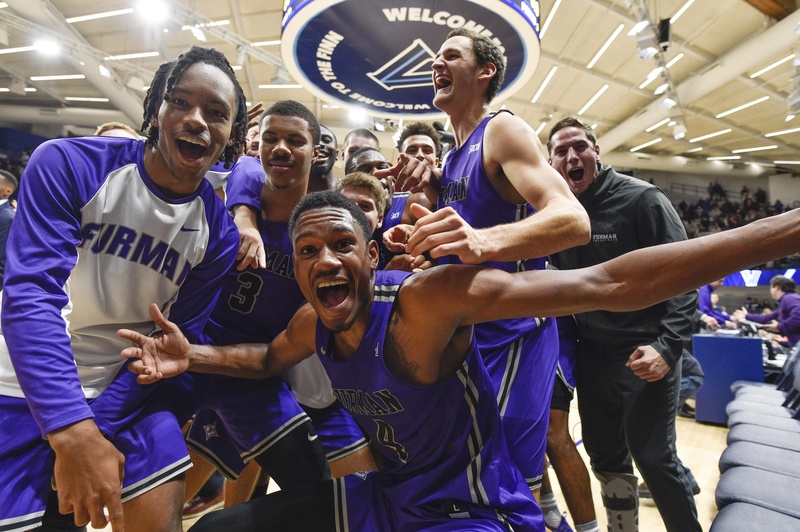 This entry was posted on Wednesday, December 5th, 2018 at 12:45 pm by Justin Kundrat	and is filed under big east, feature, microsites. Tagged: big east, creighton, depaul, marquette, st johns, villanova. You can follow any responses to this entry through the RSS 2.0 feed. You can leave a response, or trackback from your own site.